Shanette Seipt, the owner is a knowledgeable, highly experienced professional with over 30 years of hands on experience and plenty of certifications. Helping her clients look and feel their best has been her passion since the beginning. Shanette keeps re-inventing herself by offering you a wide range of the latest cutting-edge services that include high performance facials and chemical peels, micro-needling, LED light therapy, and the award winning bioslimming body contour wrap, slimming body wrap and cellulite treatments, eyelash extensions and lash lift and tint, microblading eyebrows and ombre micro shading, hair removal and waxing for women and men, and organic skin care products with stem cell technology. Because Shanette believes in beauty and wellness from the outside in and the inside out, she also offers a range of neutraceutical wellness products to help her clients stay youthful, fit and healthy. Read the Testimonials to see what her clients have to say. Whether you're looking to feel better, look more youthful and vibrant, and want glowing skin, or kick start your slimming program and detox your body, or want to enjoy some YOU time, L'Exquisite is the place for you. Your spa experience will be in a beautiful private and relaxing spa setting - Shanette calls it her beauty house - away from the hustle and bustle of everyday's life and stress. Just relax and enjoy the personal attention and pampering while she works her magic to help you look and feel your best, and to achieve your goals. For the most dramatic results we recommend a series of 6 Bioslimming body wraps, 2 wraps a week for three consecutive weeks to firm, tone and tighten your skin, loose inches, and reduce cellulite. Use the home care products after the spa wrap treatments to keep improving your amazing results. Keep improving your inch loss and cellulite reduction treatment at home after the initial eight spa body wraps. Eyebrows are probably the most important feature on your face. Trying to find an esthetician who knows how to shape them seemed to be impossible - that is until I met Shanette. My mother recommended that I go see her after I had problems finding someone who could shape my eyebrows appropriately. I have a small scar on my left eyebrow and no matter who I went to, they always seemed stumped as to how to wax around it. From my first visit, Shanette impressed me with her ability to explain how the hair grows and how one eyebrow had to be treated differently than the other. No other esthetician had ever taken the time to explain that to me. Needless to say she has been shaping my eyebrows ever since. As I said before, eyebrows really are the one thing that shapes and defines a face. Each time I leave the salon, I'm confident that I'm putting my best face forward - and that my eyebrows have been sculpted to perfection! Hi, My name is Lynda. I visited L'exquisite Day Spa and had the Hollywood Body wrap, the experience was relaxing and the results were more than I expected having been on a diet prior to doing the wrap. The atmosphere in the spa was serene and the customer service was excellent. The body wrap was not uncomfortable and the music in the room made it easier to pass the time. Overall I lost 8 3/4 inches and would advice anyone who wants to lose some inches(fat loss) to give this a try. WOW, thank you Shanette, I just had a Hollywood Secret Body Wrap a few days ago and lost 12 inches after the one wrap. I can feel it in my clothes and I feel terrific! I was skeptical at first, especially being a male but in using the wrap, I lost 6 inches. It is definitely something that I would consider doing again. I also bought an amino acid product Shanette recommended. Within days I had more energy and I notice that I am not as hungry any more. I recently visited Shanette at L'Exquisite Day Spa to try the body wrap. From the moment I entered the spa, Shanette made me feel very welcome and at ease. My spa treatment room was lovely- very clean and soothing, and her massaging bed was heavenly! Plus, I lost half an inch off my tummy in only 45 mins! I am looking forward to returning for another treatment with Shanette very soon! I've been going to L'Exquisite Day Spa and Shanette for 7 years. I first visited her location at the Nottinghill Gate Plaza and then in the very comfortable and relaxing spa in her home. I had never visited a spa before my experience with Shanette. It's exceptional. I find Shanette wonderful warm, caring and very professional. I highly recommend L'Exquisite Day Spa with the wonderful Shanette. The owner of this spa is an amazing person! As always everything was just perfect. L’Exquisite is the perfect name for this first rate day spa....exquisite decor, exquisite products, exquisite surroundings and most importantly, exquisite professional, years of constantly upgraded care for all your beauty and health needs. Shanette is a step way above great.... L’Exquisite indeed! Merry Christmas and a Happy Prospserous New Year to you and your family. Thank you very much for making me look beautiful again with your healing hands. 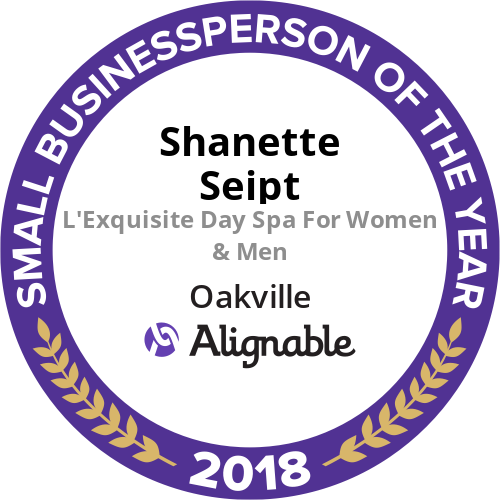 For several years, I have had the pleasure of being one of many clients Shanette Seipt (Owner of L'Exquisite Day Spa) has touched by her dedication to the esthetic profession. Shanette is talented at her job and should be recognized as such. Her superior knowledge about offered products and services is incredible and she offers an exemplary service, customizes the treatments she recommends and ensures her guests have an amazing experience. L'Exquisite is special to me because it is in my community and very convenient and we need to support our local businesses. Shanette is great - skilled, kind, accepting and always gracious about providing convenience for accommodating my schedule. I wholeheartedly and highly endorse Shanette and the services she offers. Many thanks for years of wonderful service and making me look and feel better! Thank you so much for the wonderful and relaxing Manicure, Facial and Hot Stone Massage at your spa. I came in stressed out (getting ready for a high school reunion) and left feeling like a million dollars! I have and will continue to recommend your spa to colleagues, family and friends. Hi Shanette: Just wanted to let you know how much I enjoyed my hot stone massage. As you know I have a thyroid problem and I'm always cold. When I left the spa I actually felt warm on the inside. My skin felt great from the oil I just felt warm and cozy. Looking forward to my facial next week. I have tried spas over the years and, until I found L'Exquisite Day Spa for Woman & Men, I was usually disappointed. Now, even when the opportunity arises elsewhere, I don't bother going anywhere else. This is not your run of the mill day spa. The atmosphere is so tranquil yet happy and beautiful. From the moment you arrive, and put on the cozy slippers, the tranquil music begins your truly luxurious experience. Whether it is a facial treatment, massage, manicure or pedicure, Shanette makes you feel very welcome and relaxed for your day at the spa. She and her staff make you feel special and pampered. And throughout your spa experience until you leave, you will feel truly taken care of. I know that what L'Exquisite Day Spa does for me plays a tremendous role in my overall health and I appreciate the product knowledge that is shared. Many thanks to Shanette and her very attentive and experienced staff. I look forward to my next visit when I will bring my husband and treat him! I would highly recommend L'Exquisite Day Spa. The customer service is excellent and they employ professional people. No detail is overlooked, with beautiful décor, comfortable surroundings and attentive staff. L'Exquiste is a wonderful and relaxing place to get rejuvenated with fabulous service. I plan to go back! I enjoyed visiting your spa for my first time 🙂 Given it was the July long weekend I didnt expect to be able to secure an appointment however I was not disappointed. Your spa was clean and your experience clear. Your lively attitude and professionalism was indeed welcome and I will be back to further enjoy your services! I recently went to l'exquisite for some pampering, and found my experience to be more than I expected. Shanette welcomed me warmly into her spotlessly clean salon, and the relaxing began! She gave me a lovely manicure and pedicure, and at the end of the massage, I had a wonderful sleep!! I am very much looking forward to my next appointment. After just two laser hair removal sessions I began to see a significant decrease in the growth of my unwanted hair. Now, after several treatments, the unwanted hair on my face is gone, leaving it permanently smooth and clear. I feel more confident and I no longer have to worry about re-growth or continual waxing. Needless to say I trust Shanette, as I have been a client of hers for many years, but after this experience I can honestly say that it was Shanette's advice to having laser treatment that has allowed me to look and feel my absolute best. It all starts with a dimly-lit room and a cozy warm blanket covering your body. This is further accentuated by the relaxing piped-in music that's played through out the duration of the massage therapy. Mind you, a different selection is played each time, making your stay a special one every time. Further, a variety of special scents to choose from is offered by Shannete herself, and each one delivers a special soothing effect that would cater to your needs, whether, something that will get rid of tension, nervousness, muscle aches, migraine or what have you. In my case, I let Shanette choose the scent and apart from its medicinal effect that it is expected to deliver, she never fails to choose a scent that would have a long-lasting pleasant smell. And then the actual massage therapy begins. For starters, unlike any other massage sessions, Shanette usually asks her customers to lie on his/her back. This bodes well for me as I usually end the session lying on my belly which is my ideal sleeping position. Shanette knows the focal points pretty well and does a combination of Swedish and shiatsu massage. She does a whole body massage and that means a no-nonsense head to toe massage which includes the feet, abdomen and the scalp. She times the sequence very well that by the end of the session no part of the body will be missed and all muscles will have been addressed. We know how the feet are connected to all the vital organs of the human body and the application of pressure in the right places would have health benefits. The abdomen massage is done in a reiki-like circular motion which is known to have its healing or detoxifying effect. The scalp massage is a guaranteed sleeper as I always find myself dosing off every time. Best of all, you are welcome to stay for extra minutes in the room if need be and a few minutes of nap is crucial in energizing your mind and body. To sum it up, L'Exquisite body massage is a totally invigorating experience which helps one to maintain a healthy body and mind. Thank you Shanette for the great service and keep up the good work!! I just wanted to let everyone know what a great esthetician Shanette at L'Exquisite is. I first went to Shanette about 12 years ago to get my make up done for a special event. It just grew from there and so has Shanette's business. I went from the occasional make up application to seeing Shanette every three weeks to have my nails done, and waxing from top to bottom. I think that I have tried almost every service she offers from eyelash perming to hot stone massages, facials and body detoxing. She keeps up to date on the latest trends and instructs me on how to change my make up for every season and what colours are hot. She is a great wealth of information for any type of skin problems you may be having and can provide you with products for every skin type. I have watched her grow from sharing space in a hair salon in Bronte to owning her very own day spa in Glen Abbey. She is truly amazing. Her spa is spotlessly clean and bright and is a place I look forward to as a refuge from my busy day. You should give her a try you will be amazed at the results. I have been going to Shanette for over 30 years and I cannot say enough about her fabulous facials and treatments. She keeps my skin looking healthy and glowing. She also does my nails and pedicures. Shanette takes such personal care with all her clients you will feel spoiled. Highly recommend a visit to L'Exquisite Day Spa. have been going to L'Exquisite Day Spa for facials, eye brow waxing and for my anti aging product for the last 4 to 5 years. I highly recommend the facial for women and men of all ages, you will not be disappointed, you will love the results. My eye brows always look so fantastic. I have had so many compliments! Thanks to you Shanette! I highly recommend Shanette and L'Exquisite Day Spa. I was seriously injured in 2010, suffered complications and environmental sensitivities. Part of my long-term treatment program has been detoxification. I have tried more expensive body wraps in Yorkville and have found Shanette's wrap to be more beneficial. Her facials, skin care line and other advice has been immensely helpful in my life. And so importantly, I greatly appreciate her kind, sensitive, loving and welcoming care in her beautiful home spa. Her immensely special dog, Aspen, has become one of my best friends. I make the 4+ hour round-trip drive whenever I can to benefit from Shanette's wonderful spa services and the health benefits I receive. Initially I had an airbrush tanning at L'Exquisite Day Spa. This was personally done by Shanette. WOW I was thrilled by just how good it turned out. In fact I have had another since then. I must also say what really blew me away was the full anti-aging facial I had done. Again this wonderful treatment was done by Shanette. Not only were the results IMMEDIATE but the improvement continued. I was more than happy with my experience and MOST IMPORTANT thrilled with the results! I have come back regularly ever since. It has been the best facial I've have ever had. Shanette is really great with customers, very gentle, friendly, professionalist. She doesn't push you to buy the beauty products, she a very good advisor. 100% I'll come back to L'Exquisite Day Spa soon. 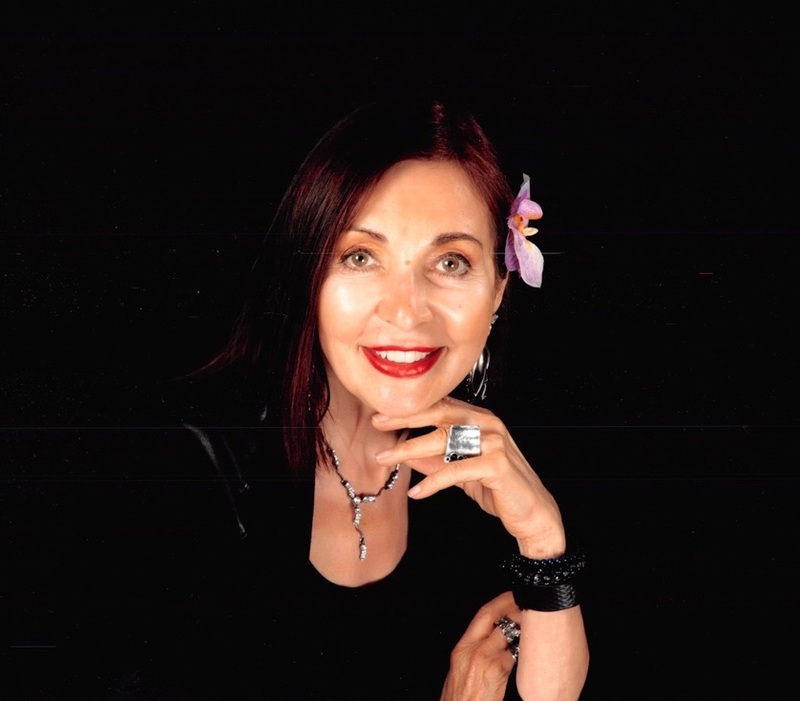 I write this testimonial with such great pride and enthusiasm as I want to share my life changing experience using L'Exquisite's skin care products. Having a parent who had acne problem there was no escaping for me not to have them as well. It started mild when I was a teen-ager and gradually became worse as I got older. Aside the acne, I also had Rosacea which caused my skin to be very red and sensitive. I have tried almost every acne products in the market, and I have also tried going to different dermatologists but nothing worked at all. Then finally, I came across Shanette's spa. Her products truly worked wonders for me. After using it for several weeks I've noticed drastic results right away. It was amazing! My acne is now treated and the redness on my face is very minimal. I am very lucky to have found Shanette. Her knowledge, treatments and recommendations made the difference. Now I look in the mirror and see a more beautiful me and it gives me so much confidence to speak face to face with anyone. I strongly recommend Shanette's facial treatments and products to everyone and you will witness its magic! The facial service was great, the place was very clean, and she catered to the needs of the client's skin. During the mask portion of the facial, it would be helpful for the person to let you know how long she will be leaving the room for. Other than that, it was fantastic! Hi Shanette, What a wonderful 'facial' I had at L'Exquisite Day Spa.....My face feels incredible & fresh. I can't wait to try the 'wrap' treatment. It was a pleasure meeting you & I truly enjoyed my time at your spa. Hello Shanette, It's been a few days since I had my facial and my face still looks and feels great! It was a wonderful experience - soothing and relaxing.I look forward to the next one already! Shanette, I just wanted to let you know how pleased I have been with your skin care products. Since having 2 facials, manicures and a pedicure at your Oakville Spa I have been using the products for my aging and sun damaged skin. 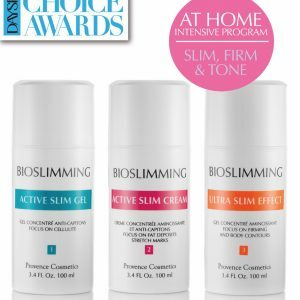 The products feel great and are easy to use. There has been an improvement in the moisture level of my skin and it appears to have a more healthy glow to it. Your spa service was excellent. You are knowledgable, sincere and caring about clients as well as current with skincare and cosmetic products. I only wish that I lived closer to your spa so that I could use your services regularly. Fortunaltely your web site is informative and it is easy to have products sent to me. Delivery time is quick and I don't have to wait until I can get to your spa for continued use of the products. My most recent purchase was the exfoliating mitt. What a difference one use of it made to my legs and arms. I am so impressed that I have ordered more as gifts for family. Keep up the great work and if you ever consider moving to Barrie you would see me regularly. 'Magic Hands' is how I would describe Shanette Seipt and the fabulous facial I recently experienced at her day spa in Oakville. Given I am a 'work-in-progress' as I venture through my maturing years, however, I found her advice very beneficial. She continually stays up-to-date on the latest techniques and is always taking courses to stay informed. I may not look 25 on the outside, but after my facial, I certainly felt like it on the inside. Looking forward to trying her other services." I would like to tell you how much I enjoyed my facial last week. I found the time warm, relaxing and comforting. My skin felt rejuvenated and healthy when I left. There was no burning, flaking or redness. The guest experience was very positive and you and your staff were gracious and accommodating. The products were soothing and fragrant. I will be booking my next facial next week. I am also interested in home care products and will be following up with this endeavour as well. Thank you once again for your professionalism and concern for healthy, attractive skin and for a great experience! Last Spring I was unhappy with my current skin care products and took advantage of the introductory "facelift" facial that was being offered in L'Exquisite's salon. Immediately, the results were amazing. My skin tone looked more even and my face was more "fresh-looking". I bought the skin care line the same day and have been using it ever since. Within ten to fifteen days of using the products, my wrinkles faded. Another function of the skin care line is a "Serum" which is used in combination with the creams and is designed to diagnose and correct particular skin problems. Since using these products and getting regular facials, I no longer suffer from combination skin, or the occasional blemish. I have absolutely no hesitation in recommending Shanette's products and treatments to anyone. I enjoy the weekly Sunday night masks, the feel and smell of the creams, and of course the results. Hello Shanette, It's been a few days since I had my facial and my face still looks and feels great! It was a wonderful experience - soothing and relaxing. I look forward to the next one already! I'm 29 years old. I have thick rough skin, breakouts and blackhead. I guess I can say that it's a mild case of acne. My esthetician that waxes my eyebrows was having a glycolic peel day, and invited me to try one. She also recommended what products I should use. I was shocked when she told me the price for the cleanser and serum, but felt too cheap to turn it down. (plus, they were saying such great thing about it, I couldn't say no) Now that I've been using the product for just over a month, I can honestly say I will refill my bottles when they become empty. The texture of my skin is so much smoother. I'm anxious to try the entire line, as I'm confidant it will do my skin wonders. I've been telling a friend of mine who lives up north about the product. She has similar skin as mine, and she has an itch to try it for herself. I've forwarded her the link to your website, and I'm sure she'll be placing an order in no time. Dear Shanette: I wanted to write to thank you so very much for the wonderful products I got from you, giving me an opportunity to try all your great skin care products. As a more than middle aged woman, I am always seeking skin care products that can keep my skin healthy and attractive. 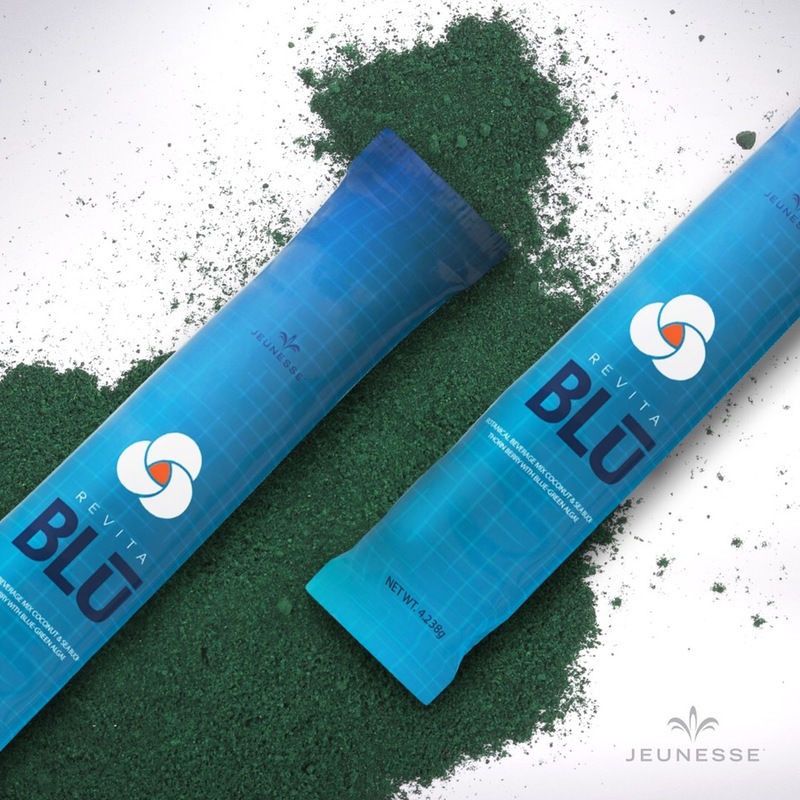 You were true to your word about how great these products are as I am very impressed. The Cleanser is amazing. Just a little tiny drop and every bit of make-up dissolves easily and effortlessly, plus my skin hasn't felt this clean in a long time. The Moisturizer is also particularly special. I love the texture and creaminess and especially like the lightness of the cream and the way it goes right into my skin. If my skin feels this great after just a few days, I can't wait to see how beautiful it looks in a few weeks. I just wanted to let you know that I am really enjoying using the products and will keep you updated on my progress. Shanette and I met through a lash extensions service–her work was very thorough! With this being my first time, she made me feel calm and relaxed during the very long process. The result was naturally lengthened lashes that look great up close. It was great to meet her. She is a very kind person who takes pride in her work and has good reason to. I got my EyeLash Extensions done by Shanette at L'Exquisite Day Spa. She was extremely professional and did an amazing job. My lashes look super natural. If you need eye lash extensions you must go here, she's caring, super sweet and makes sure the job is well done. I went in to get my eyebrows waxed and tinted and was very impressed with the service, as I was recommended by my daughter. Shanette’s home spa was clean and inviting- the soothing music was a nice touch! You can tell Shanette is good at what she does with the best intentions. I have known Shanette for almost 6 years now. Whether it was at her former shop location, or the current tranquil spa at her home, only one thing mattered; Shanette. The pride, passion, and most significantly, the talent that she presents regarding her work is incredible, that it doesn't matter where her business is operating. For every second that I am at her spa, I feel like I am right at home and my comfort and relaxation is her primary concern. Even receiving one of the most painful “summer preps” from Shanette (you know what I’m talking about, ladies) she somehow makes it an enjoyable experience! I could not imagine ever going to anyone other than her and I genuinely enjoy every second while at her spa. Thank you for 6 great years Shanette, I wouldn’t be as confident in my bikini without you! Thank you so much for my recent waxing. I felt so comfortable and relaxed at your beautiful home spa which made the experience much better than expected. Can't wait for my next appointment! I had very uneven eyebrows that just didn't grow. I went to see Shanette. She said waxing my eyebrows regularly would fix the problem. It took about a year of waxing my brows every two to three weeks, and I have to say my eyebrows have never looked better. In the meantime I get several parts of my body waxed regularly. I've been looking for a decent Aesthetician for about 3 years and have had the worst luck. So glad I stumbled upon Shanette and L'exquisite! She did such a clean and thorough job on my bikini (I didn't have any tweezing to do afterward), and shaped my brows perfectly. Thank you Shanette, you're fantastic! It's Andres and Taylor! We just want to say that we love you and we thank you for making our first waxing experience the best! From the moment you came in with you little grandson, we knew you were a sweetheart, therefore making us feel very comfortable...seeing as we were both dying of nerves! We are so impressed with you magic hands and how little it hurt! It was so great having a conversation with you during the procedure, and we are TOTALLY coming back for our next session! WE LOVE YOU SHANETTE! THANK YOU SO MUCH! Shanette was absolutely fantastic! This was my first experience with microblading. I was a little hesitant but she prepared me thoroughly on what to expect. There was no stone left unturned during this process. I am completely obsessed with my eyebrows! I look forward to my touch up with her. I would strongly recommend Shanette to anyone. She is talented, incredibly professional and epitomizes the definition of “Perfectionist”. I had my eyebrows tattooed and my eyeliner done just about two weeks ago it is the best gift I could have gave myself. There is not a day goes by that I am not thankful I made the decision to have it done. My only regret is not doing it years ago. To wake up every morning and see a face in the mirror It makes me feel years younger.